Reston Town Center unveiled today (Jan. 24) six newcomers slated to open later this year. “It is our mission to continue to enhance the RTC experience and provide the community with brands that excite and entice all,” Retail Leasing Director Stephanie Friedman said in a press release. The new dining and retail will provide “a diverse mix of shopping and restaurant options,” according to the press release, which does not include their expected opening dates or addresses. 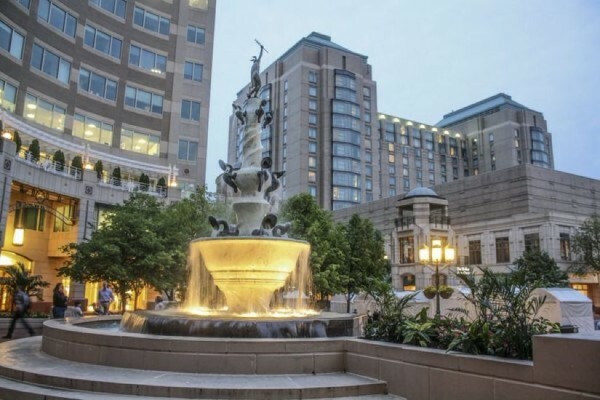 Peet’s Coffee has already posted job openings for its future spot in Reston Town Center. Located across the country, True Food Kitchen focuses on offering food based Dr. Andrew Weil’s anti-inflammatory diet, according to its website. In Virginia, the chain currently has spots in Arlington and Fairfax. Reston Now previously reported that Fox Restaurant Concepts plans to open its North Italia concept in RTC at 11898 Freedom Drive — the space Neyla Mediterranean Bistro previously occupied before it closed in 2018. While Boston Properties originally said North Italia would open in the winter, an employee told Reston Now that it will open later this spring. The store combines painting instruction with a beer and wine bar and will host daily painting sessions. Meanwhile, the Glossary Nail Spa wrote that it is “coming soon” to 1771 Library Street in a Facebook post on Dec. 20. DC Row will offer high-intensity, low-impact group workout training. This will be its second location after launching at District Wharf in May 2018, according to the press release. The press release says that various other tenants will be announced in the following months.